Below you will find answers to questions we frequently receive. Orthopedic patients at Kentucky Bone & Joint Surgeons in Lexington, Kentucky find this information helpful. Should you need further assistance, please call us at (859) 276-5008 and we will happily answer your questions. Most patients do not require a referral. If your insurance is an HMO/managed care plan and you are required to obtain a referral from your primary care physician, the referral must be obtained before you can be seen for an office visit. Please coordinate this with your primary care physician in advance. Appointments will be rescheduled if required referrals are not received in the office by the time of your visit. Our staff will be happy to help you determine if this is necessary before your appointment. 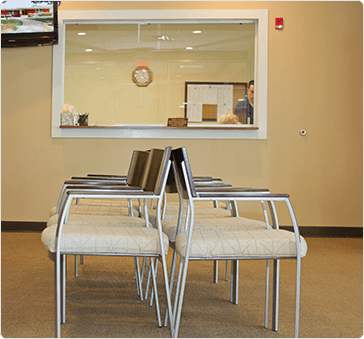 Registration paperwork: New patients and patients not seen in the last 12 months will need to bring completed registration forms, which are typically mailed the week before your appointment. If you did not receive paperwork, you can download the forms. If you have a question related to your bill or insurance, please contact our billing specialists at (859) 276-5008. Please complete our medical records request form. Medical records requests are processed as quickly as possible, but can often take 1-2 weeks to complete. Medical records cannot be released without written consent from the patient or guardian. Requests for refills can be completed by calling our office during office hours at (859) 276-5008 or making a request through the patient portal. Medication refills may take up to three days to complete, so please plan ahead for evening or weekends when the office is closed. All narcotic prescriptions must be picked up from the office as Kentucky state law prevents them from being called in or electronically prescribed. A photo ID is required for prescription pick up. When is payment due and what payment methods do you accept? Bad Weather Policy In the event of severe weather conditions, if our office closes, the closure will be listed on WKYT news station and is also available on their website at http://www.wkyt.com/closings. Holiday Schedule We are closed for the following major holidays so that our providers and employees can enjoy time with their families: New Year’s Day, Good Friday, Memorial Day, Independence Day, Labor Day, Thanksgiving Day, and Christmas Day.